SeeMoreGreen Landscape Construction & Maintenance of Saskatoon has upgraded their snow moving capacity. They recently took delivery of a brand new Western MVP3 Plow. 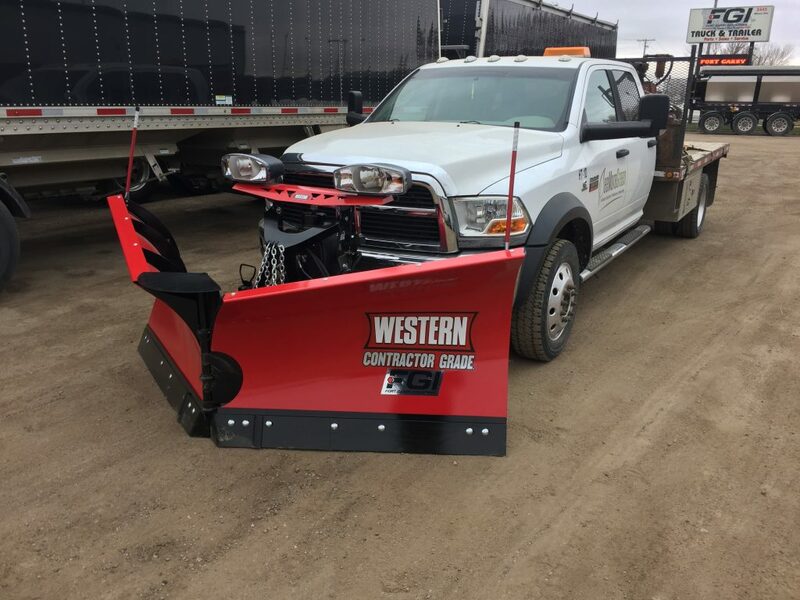 Equipped with the CabCommand Hand-held controller, the plow was installed by Fort Garry Industries on a 2014 RAM 5500 Heavy Duty Crew Cab with Cummins Turbo Diesel. SeeMoreGreen Landscaping is now ready more than ever, to tackle any commercial and residential snow clearing jobs with ease.